This one of a kind mask is the most attractive addition to your party outfit. With this mask, you’ll get all the attention in your environment which can be a party, a hip hop show, on stage as a DJ, a rave or on a bike & motorbike! People often like to have and see bright, shiny and colorful stuff. That’s why this mask is loved by everyone. It’s durable and simple design provides a long lasting experience. Multi-Color: RGB feature gives the users ability to change the colors to besides white; Red, Green, Blue and their variations by the remote control. Rechargeable: Rechargeable long lasting lithium ion battery gives the user about 30-35 mins nonstop usage by just 15-20 mins of charging time. It comes with the charger. Durable: The metal body surrounded with soft touching edges along with a design for ultimate air flow provides the user a satisfying and comfortable experience. The high quality LED lights often have over ten thousand hours of life. Ergonomic: The ergonomic design of light up rave mask makes it fit every adult faces. The adjustable straps help make it easy to wear. Please watch the video below to have a better understanding on what you will get when you buy light up rave mask. What you will see on the video is what you will get. Our products are always double checked before the shipment. We take customer satisfaction very serious. If you have any inquiries about the product please you can contact us. I use this mask almost every single night for last 3 months while riding my bike and it still works and looks like new. I charge it from my portable power bank that I got from Target for 30 bucks. It has a great airflow, easy to breathe and looks really cool! I have ordered 2 more and haven’t received them, can someone advise me on when I will receive them. 7 colors luminous light dust mouth mask, Choose your favorite color at any time and catch everyone's attention anywhere. 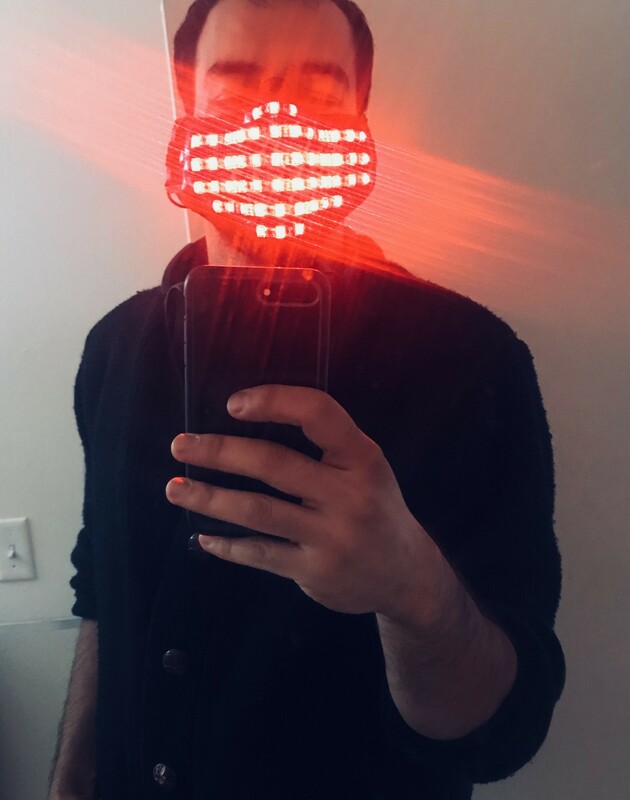 LED Mask perfect for Halloween, Costume Parties, Masquerades, Mardi Gras, Rave Festivals, Carnivals, Gifts, and more Safety and Breathable ,Not feel stuffy with a day,loops feel great around the ears.